On this page, we compiled some articles you will hopefully find useful. We have some general information - from rigging your kayak & tools involved, popular kayak fishing knots and rigs, some tips on fishing techniques, kayak fishing checklists to very important safety information. Over time, everyone develops their own kayak fishing style. Some people prefer to fish the lakes or bays, others like to venture out in the open ocean. Some folks like to rig their own kayak(s), others prefer to have that part taken care of by professional kayak fishing establishments such as OEX. Regardless, the basic concepts outlined within these pages will always apply. General Information section contains a number of articles on common kayak fishing questions we're frequently asked. Kayak Fishing Information includes some wisdom from OEX Pro Staff kayak fishermen on specific fishing techniques. Fishing Stories section has diaries of some most memorable days of kayak fishing. Finally, the bottom section will have some useful external kayak fishing informational links. How Kayaks Are Made - Kayak construction, and what makes some better than others. By Brian Long. Selecting A Seat - Benefits and drawbacks of various kayak seats. By Brian Long. A Complete Guide To Transporting Your Kayak -Safely transport any kayak on any vehicle, the right way. By Brian Long. Fishing Kayak Selection -How to select the kayak that's right for you. By Brian Long. Malibu Kayaks Transducer Ready - transducer ready kayaks from Malibu Kayaks are here! Malibu Kayaks Stealth 9 Review - By Andy "Iceman" Allen. Top 10 Fishing Kayaks of All Time -As determined by KFS staff members. Caring For Your Catch -Proper fish handling in a kayak. By CJ Siebler. 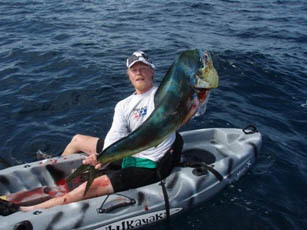 Jackson Kayak Big Tuna - Got Livewell / Bait-tank? 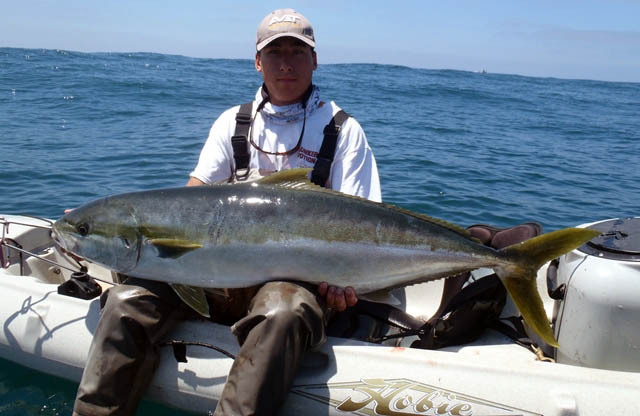 Springtime Yellowtail - How to catch yellowtail from a kayak in the spring. By Andy "Iceman" Allen. 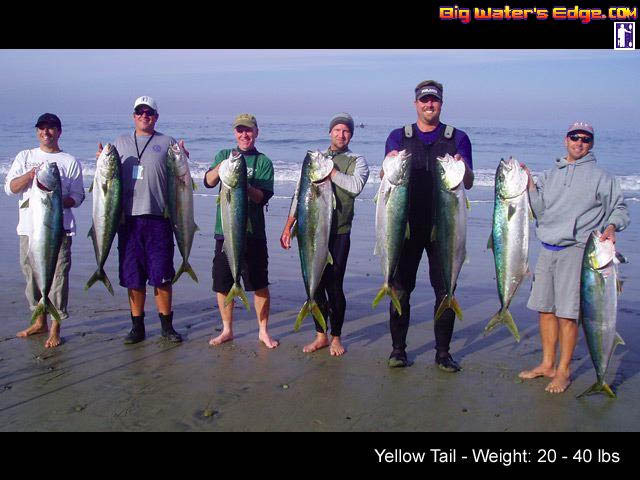 Kayak Fishing For Yellowtail - An introduction to yellowtail fishing from a kayak. By Brian Long. Winter time kayak fishing at La Jolla - Winter time at La Jolla, CA can bring some of the biggest fish. Fishing With Iron - comprehensive guide to fishing heavy iron from kayak by La Jolla Yo-Yo King Pat Holmes. Kayak Fishing For White Seabass In The Spring - Spring is the best time to target white seabass and a kayak is the best way to do it. By Andy "Iceman" Allen. Night Fishing For Bass - Kayak fishing for saltwater bass at night. By Andy "Iceman" Allen. Targeting Halibut From a Kayak - Everything you need to know about targeting halibut from a kayak. By Andy "Iceman" Allen. Why Malibu Kayaks are Ultimate Kayak Fishing Machines - Brian Long's insights on Malibu Kayaks, popular fishing platform. Kayak Fishing San Clemente Island - kayak fishing adventures on mothership trip aboard Islander.